The Apostles called it-the Lord’s Day (Rev. 1:10), since it was dedicated to the commemoration of Our Lord. This was the day when the faithful were summoned to assemble around the altar of Our Lord in order to listen to His word and to celebrate fhe Holy Eucharist ” in commemoration” of Him (Lk. 22:19) , as indicated by the Acts of the Apostles (20:7). But it took some time until the Sunday observance had taken its present form . 1. Sunday, because of its association with the glorious Resurrection of Our Lord, became a special day of worship since the Apostolic times. It was known to Christians as the Lord ‘s Day, the day which ” the Lord has made to be glad and rejoice in it” (Ps. 118:24). For this reason all the Evangelists strongly emphasized the fact that Christ’s resurrection took place on Sunday, ” the first day of the week” (Lk. 24:1) . It seems that the weekly commemoration of Christ’s resurrection was intended by Our Lord Himself since He, after His first manifestation to the Apostles on Easter Sunday, waited an entire week to manifest Himself again and to convince the doubting Thomas of His resurrection (In. 20 :24-29). It is not without significance that in the Byzantine Rite the Sunday of Thomas is also referred to as-Antipasch, i.e. another Easter. Thus, by His second manifestation to His Apostles on Sunday, one week later, Our Lord clearly indicated that Sunday should replace the Jewish Sabbath as the day of public worship of God. The conviction of the Apostles that it was the will of Jesus to make Sunday as the holy day for the Christians was finally confirmed fifty days later, since it was again on a Sunday when Our Lord sent down the Holy Spirit and inaugurated His Church (Acts 2:1-4). Thus the Apostles were completely justified to replace the Sabbath and make Sunday as ” the Lord’s Day” (Rev. 1:10), dedicated to the worship of God. 2. To the early Christians it was clear that they were not bound by the Jewish ritual observances, including the observance of the Sabbath (Acts 15:28-29). Hence st. Paul, from the very beginning, did not impose the observance of the Sabbath on those Christian communities which he had established with the Gentile converts (Col. 2:16). But it was different with the Judeo-Christian communities, since they continued to observe their Jewish customs. The destruction of Jerusalem and its temple by the Romans in 72 A.D. signalled the final separation of the Judea-Christian communities from the synagogue. In view of Isaiah ‘s prophecy (Is. 1 :13) they also discontinued the observance of the Sabbath, replacing it with ” the Lord’s Day” (Sunday). The unknown author of the so called Epistle of Barnabas, written in all probability shortly after the destruction of Jerusalem, explained that Almighty God became displeased with Jewish worsh ip since the Jews ” have forsaken the Lord and have spurned the Holy One” (Is. 1 :4), saying : “Your new moons (festivals) and your Sabbaths I cannot endure anymore!” (Is. 1 :13). Therefore, says the author: “We joyfully observe the eighth day (Sunday) on which Jesus arose from the dead and had manifested Himself” (cf. Epistle of Barnabas, 15). St. Paul associated the observance of the Sabbath with the ” old order.” Since in Jesus God has accomplished “a new creation” and on Pentecost Sunday inaugurated the New Testament, therefore, says the Apostl e: “The old order has passed away and now-all is new!” (2 Cor. 5:17-18). Hence, according to the testimony of St. Ignatius of Antioch (d. 110), even “those brought up in the old order of things but have come to the possession of a new hope (i.e. the Judeo-Christians) no longer observe the Sabbath, but live in observance of the Lord ‘s Day .. . , so that they may be recognized as disciples of Jesus Christ, our only Master” (cf. Epistle to the Magnesians, 9). 3. Sunday observance, as regulated by Church tradition, includes two elements-Sunday worship and Sunday rest. Since these two elements did not develop simultaneously it is better to consider the course of their development separately. SUNDAY WORSHIP – Since the Apostolic times the main feature of Sunday observance was the celebration of the Holy Eucharist, referred to in the Scriptures as-the Breaking of Bread (Acts 2:46). We are told that such was the practice in the Pauline churches: ” On the first day of the week (Sunday) we assembled for the Breaking of Bread and Paul preached a sermon” (Acts 20 :7). This practice as a standard practice of the Church is confirmed by the ordinance of the Didache (The Teaching of the Twelve Apostles) , composed between 70-90 A.D., stating: ” On the Lord ‘s Day (Sunday) come together and break bread and give thanks (i.e. celebrate the Holy Eucharist) after confessing your sins that your sacrifice may be pure” (cf. Didache, 14). This early document clearly indicates that already at the end of the first century the practice of sanctifying Sunday by the celebration of the Holy Liturgy was firmly established. In the middle of the second century, St. Justin Martyr (d. ca 165) testifies that “on the day which is called Sunday, all Christians, whether they live in the city or in the country, assemble together in one place” in order to celebrate the Holy Eucharist. 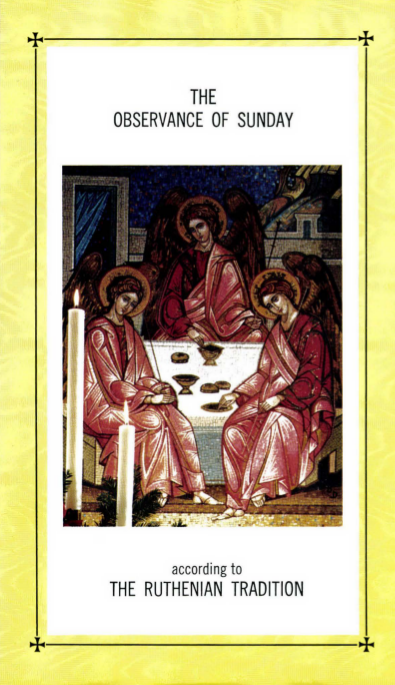 Justin ‘s description of the Holy Liturgy already contains all the essential elements of the Sunday celebration, namely: reading from the Scriptures, a homily, prayers in common, and the Holy Eucharist, “which was distributed to all present” (cf. The First Apology, 67). Thus we can conclude that the Christian community at Justin’s time, like the primitive community of Jerusalem, has been built up ” in the teaching of the Apostles, the Breaking of Bread and the prayers” recited in common (Acts 2:42). And such practice is valid even at the present time. 4. SUNDAY REST – The stress laid by the Lord upon the Sabbath rest in the Old Testament (Ex. 20:8-11 ; Deut. 5:12-15) undoubtedly influenced also the Christian observance of Sunday. This was especially noticeable in the Judeo-Christian communities. But the majority of the faithful in the early Church was of low social standing (even slaves) and was not in a position to observe Sunday rest, since then Sunday was a working day. Therefore, the Christians were forced to worship at night or early in the morning, at dawn. But as the number of Christians increased, the situation began to change. Already Origen in the middle of the third century insisted on the observance of Sunday rest in order that the faithful ” find time for the spiritual things-go to the church , listen to the Sacred Scriptures and meditate on heavenly things.” And he concludes: ” Therefore, on Sunday a Christian should not pursue a worldly calling” (cf. P.G ., 12, 749). According to the mind of the Fathers, Sunday rest was the sign of freedom and redemption of the human soul destined by God to eternal life. Hence they encouraged the faithful to abstain from their work on Sunday, insisting “On the Lord’s Day leave everything behind and run eagerly toward your church, for this is your glory” of redemption (cl. Didascalia, 13). In the fourth century, with the freedom of Christianity came also freedom in the observance of Sunday. Even the pagans were in favor of a weekly rest “on the venerable day of the Sun.” Therefore Emperor Constantine the Great in 321 A.D. proclaimed Sunday as an official holyday, binding on all the citizens of the Roman Empire. From that time on the Christians were free to observe the Sunday rest and to prolong their liturgical services. 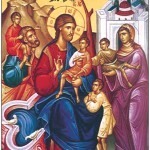 The first written Church law concerning Sunday rest seems to come from the Synod of Laodicia, celebrated toward the end of the fourth century, stating that ” on account of the Lord ‘s resurrection” the faithful ” should honor (observe) the Lord ‘s Day by abstaining from their manual work-whenever they can, and by attending the services in the church” (can. 29) . 5. The observance of Sunday and the Holy Days of Obligation prescribes that we: 1) assist at the Divine Liturgy, and 2) abstain from servile work. The assistance at the Divinie Liturgy on Sunday was always a serious obligation in the Church. This obligation was considered so important for the early Christians that they were ready to expose themselves to persecution rather than to miss the celebration of the Holy Liturgy. We witness the same attitude today among the Byzantine Catholics behind the I ron Curtain. “On Sundays and Holydays of Obligation abstain from your worldly (daily) work and assist at the Divine Liturgy.” And here I refer to the first printed Ruthenian Catechism, published by Bishop J . J . de Camillis, OSBM of Mukachevo in 1698. Since that time the obligation to attend the Divine Liturgy on Sunday was constantly imposed on our faithful. The precept to ” keep holy” Sunday and the Holydays of Obligation is a serious one and is binding in conscience, unless there is a sufficient reason excusing us from the obligation. Hence the Synod of Laodicea stated : “whenever they can, ” and as far as possible. The reasons absolving the faithful from this double Sunday obligation are explained during religious instructions or in Sunday sermons. “By the Apostolic tradition which took its origin from the very day of Christ’s resurrectio n, the Church celebrates the Paschal Mystery every seventh day. With good reason then the day bears the name of the Lord’s Day, for on this day the faithful should come together into one place so that, by hearing the word of God and taking part in the Holy Eucharist, they may call to their mind the passion, the resurrection , and the glory of Our Lord , and may thank God Who ‘gave us a new birth through the resurrection of Jesus Christ’ (Pet. 1 :3). Hence the Lord’s Day is the original feast day, .. . a day of joy and freedom from work”-(cf. Decree on Liturgy, n. 106).